Spacewalk is dangerous and hard job. The necessary skills are helped to form a training on the specialized "Exit-2" simulator, where cosmonaut Sergey Ryzhikov (backup of Alexander Skvortsov) successfully completed the test session this week. Sergey Ryzhikov’s readiness to work in open space was checked by GCTC specialists and representatives of RSC "Energia". During the test training, Sergey Ryzhikov showed a good level of theoretical knowledge and practical skills for performing typical operations in open space. 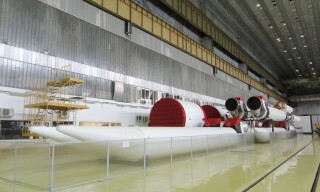 The "Proton-M" launch vehicle, used to launch the "Yamal-601" satellite in the interests of Gazprom Space Systems, today, on April 24, was transported from the Khrunichev Space Center in Moscow to the Baikonur cosmodrome. 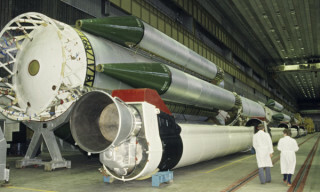 Th train with components of the "Proton-M" launch vehicle (three stages of the launch vehicle, upper stage, transitional system for spacecraft installation and head fairing) arrived at the Tyura-Tam train station of the cosmodrome and after passing through customs formalities was transported to the technical complex "Proton". The "Yamal-601" satellite was manufactured by the French company Thales Alenia Space France according to the order of Gazprom Space Systems for the renovation and development of the Russian orbital "Yamal" group. The "Yamal-60" satellite will replace the "Yamal-202" satellite in orbit and will provide fixed-line communications and data services in the C-band for a large part of Russia, as well as in the CIS and Europe , Middle East and Southeast Asia. 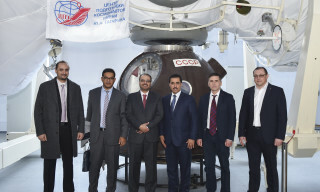 On April 19 the Gagarin Cosmonaut Training Center was visited by the delegation of the Kingdom of Saudi Arabia, headed by Dr. Salah Khalid K. Al-Taleb, Director of the Space Strategy Department of the Saudi Space Committee. For the delegation of the Kingdom of Saudi Arabia, a tour of the simulator base of the Center was organized, during which they familiarized themselves with the features of cosmonaut training for space flight. 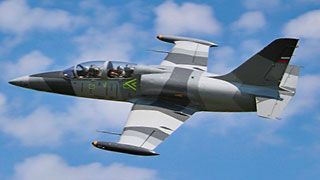 For the guests were shown specialized simulators of the "Soyuz" spacecraft, the Russian segment of the International Space Station, the "Exit-2" simulator and the CF-18 centrifuge. In addition, representatives of the delegation studied the reconfigurable simulator of airplanes and helicopters and the model of the "MIR" space station at the Space Center. This year is a year of remarkable space anniversaries. 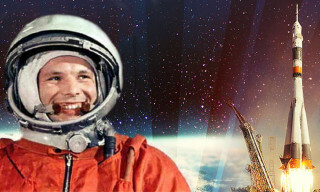 And the main one is 85 years since the birth of the first cosmonaut of the Earth, Yuri Gagarin, celebrated in March. 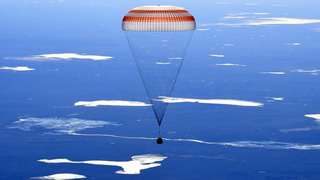 Having completed the flight, the descent module with Yuri Gagarin landed in the Saratov region. From that region on the Volga river, the first female cosmonaut Valentina Tereshkova brought as a gift to GCTC the tree seedlings. And on April 18 Valentina Tereshkova with a cosmonauts, the management and staff of the Center, planted this tree seedlings on the alley near the monument, where the ceremonial farewell of the crews usually take place. Valentina Tereshkova suggested to make traditional planting of trees not only at Baikonur, but also at the GCTC. This will be not only as a honour to the name of Yuri Gagarin, but will also bring real benefits to the nature of Star City. On April 17, 2019, the visit to Russia of Sultan bin Salman bin Abdulaziz Al-Saud, Prince of Saudi Arabia, chairman of the board of directors of the Saudi space committe took place. The Saudi delegation also included representatives of the Space Agency and the King Abdulaziz Science and Technology Center. During the meeting, the parties discussed the potential possibilities of bilateral cooperation in the field of peaceful exploration and use of space. Saudi partners have shown interest in deepening relations between the two countries on a number of topics, such as manned cosmonautics, navigation satellite systems (and related technologies and services), Earth remote sensing and the joint development of space technology and ground-based space infrastructure. 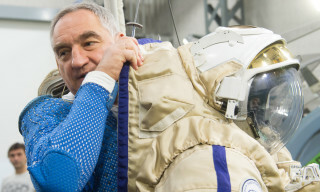 The cosmonaut Alexander Skvortsov continues training tests in the GCTC. Alexander Skvortsov is preparing to fly in the main crew, which is scheduled to start in July of this year. During the training course, Alexander Skvortsov showed a confidently high level of knowledge and skills to perform a training cyclogram, having done well all the tasks. On April 13 the "Glonass-M" navigation satellite, created by the "Information Satellite Systems" company, was delivered to the Plesetsk cosmodrome. 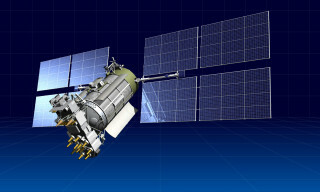 The launch of the "Glonass-M" satellite is scheduled for May 13. It will be performed as part of the implementation of the activities of the Federal Govermental Program to support the orbital group of the Russian Global Navigation Satellite System. 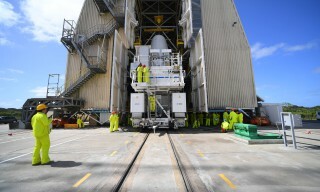 The train with the "Proton-M" launch vehicle, the "Briz-M" upper stage, the head fairing and the transition system, designed to launch the powerful geostationary satellite "Yamal-601" in the interests of the Russian satellite communications operator Gazprom Space Systems, sent from the manufacturer Khrunichev Space Center in Moscow to the Baikonur cosmodrome. The "Yamal-601" satellite was manufactured by the French company Thales Alenia Space France according to the order of Gazprom Space Systems for the renovation and development of the Russian orbital "Yamal" group. On February 25, 2015 Khrunichev Space Center and Gazprom Space Systems signed a strategic cooperation agreement and a contract on the use of the "Proton" launch vehicle for launching the "Yamal-601" communications satellite. This was the fourth direct contract, signed by the Khrunichev Space Center and Gazprom Space Systems as part of the cooperation to develop the "Yamal" orbital group. On the 12th of April the spaceship «Vostok-1» was launched into space with Yuri Gagarin on board and after orbiting our planet successfully returned to the Earth. It was 108 minutes that changed the world! 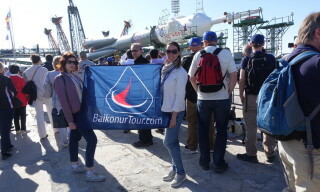 From RussianSpaceNews.com team we congratulates all professionals of space industry and just the fans of the cosmonautics with this main holiday! 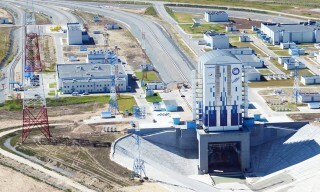 9 launches of "Soyuz" rockets with OneWeb space satellites will be performed from the Baikonur cosmodrome, 8 launches - from the Vostochny cosmodrome. 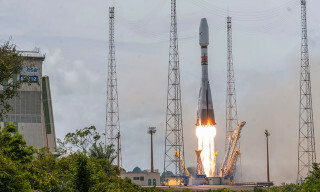 “The first launch of OneWeb satellites from the Baikonur cosmodrome is planned to be held in the fourth quarter of 2019, from the Vostochny - in the second quarter of 2020”, Glavkosmos CEO (branch of Roskosmos), Dmitry Loskutov said to RIA Novosti. Now specialists are preparing areas for fall of the "Soyuz" stages in Yakutia and Kazakhstan. The "Progress MS-11" cargo spaceship at 17:22 (Moscow time) docked to the IInternational Space Station (ISS) and became the fastest spacecraft in the history of flights to the ISS: the time from launch to docking was 3 hours 21minutes. 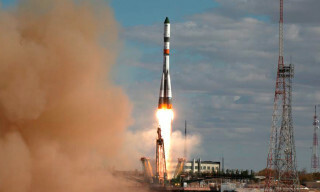 Earlier at 14:01(Moscow time), "Progress MS-11" was launched from launch pad № 31 of the Baikonur cosmodrome. Previously, the title of record holder belonged to the "Progress MS-09", which docked with the ISS 3 hours 40 minutes after the launch. 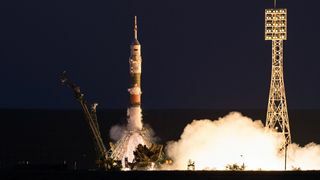 Today, on April 4, at 14:01 (Moscow time), the launch vehicle "Soyuz-2.1a" with the "Progress MS-11"cargo spacecraft successfully launched from site № 31 of the Baikonur cosmodrome. The automatic docking of the ship with the docking station of the ISS is scheduled at 17:25 (Moscow time). "Progress MS-11" will deliver to the ISS over 2.5 tons of various cargoes: more than 1.4 tons of dry cargo, 900 kg of fuel, 420 kg of water in the tanks, as well as 47 kg of compressed air and oxygen. In the packing of the cargo compartment - scientific equipment, components for the life support system, as well as containers with food products, clothing, medicines and personal care products for crew members.